In this episode my friend Tom Schermitzler shares his testimony of being healed of multiple sclerosis. He also shares a testimony of healing of an infant who drowned in a pool. In the second part of the podcast he shares some amusing stories about the things he's seen Jesus and angels do in his work as a hospice musician. 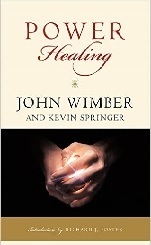 We close out the program with a discussion of God's will for healing.